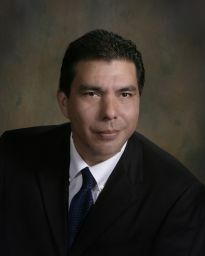 Fernando E. Miranda, M.D., F.A.C.S. has practiced Bariatric and General Surgery in the Houston and surrounding areas since 2003. Originally from Lima, Peru, Dr. Miranda received a bachelor’s degree in biology from Florida International University in Miami in April 1992, graduating with highest honors. He received his medical degree from Pennsylvania State University in May 1997 and subsequently received a general surgery degree from the University of Florida in Jacksonville in 2003. He completed his surgical specialty in laparoscopy, endoscopy and robotics at the University of Texas Medical School at Houston in 2004. Dr. Miranda has practiced Bariatric and General Surgery in the Houston and Surrounding areas since 2003. He opened SW Houston Surgical Associates PA in 2004. Moving forward and being abreast of national bariatric trends, Dr. Miranda opened his “Houston Weight Loss Center” in 2010 to assist patients who opt for non-surgical weight loss or those in need of further weight loss after surgery, with health and nutritional guidance, as well as medical weight loss. Dr. Miranda researches the latest innovations in order to offer the finest in gastric sleeve; gastric bypass and Lap Band placement procedures to his patients. A general surgeon by trade, Dr. Miranda also performs Laparoscopic appendectomies, Laparoscopic cholecystectomies, as well as laparoscopic repairs of hiatal inguinal and abdominal herniation. Dr. Miranda has also published weight loss surgery articles, remaining at the cutting edge of technology and optimal patient care proper of a surgical specialist. Dr Miranda serves his patients with the utmost care, integrity and innovation. His office staff is professional, friendly, and experienced, where small town atmosphere meets Medical Center expertise. They assist patients every step of the way.